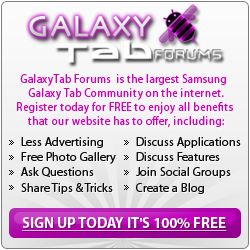 This section contains the Galaxy Tab 10.1 FAQ which are Frequently Asked Questions, Answers, Galaxy Tab 10.1 How-To's, and Tips. Compatible Printers for Galaxy 10.1 Tablet & iPhone? Putting a signature in gmails from tablet?